In the domains of aerospace, electronics and manufacturing, Mitsubishi Heavy Industries (MHI) has an enviable reputation. Mitsubishi Forklift Trucks seeks to build on that by offering forklift trucks that are ready, reliable and cost effective. Given their utility value, load carrying capacity and high quality, it is not hard to understand why Mitsubishi forklifts are highly sought after these days. In fact, some of the manufacturing facilities of Mitsubishi carry the ISO 9001:2008 and ISO 14001:2004 certifications. Mitsubishi manufactures more than fifty forklift truck models to their customers across the world. They believe that a range of different models with different load carrying capabilities is ideal for meeting the diverse needs of their customers. Each client has different material handling needs. This range of products can be a boon. In certain situations though, it can also be a bane. Consider a possibility where you need Mitsubishi forklift parts. Constant use may have led to this requirement of authentic Mitsubishi forklift parts. It could be likely that a nearby supplier stocks Mitsubishi forklift parts. However, will that supplier be able to provide guarantees and assurances that come with all Mitsubishi forklift parts? If not, from where would you be able to obtain authentic Mitsubishi forklift parts? Across Australia and Oceania, the one-stop shop for authentic forklift parts – including Mitsubishi forklift parts – is South Coast Forklifts. 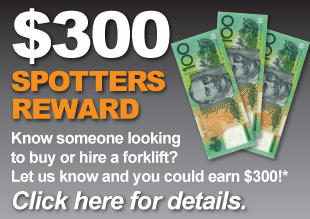 So, the next time you need spare parts for your forklift, call us at 1300 988 795. We remain your all-in-one store for forklift parts in Australia and Oceania. With millions of part numbers and tens of thousands of parts available we are well positioned to help you find the right part. Time to upgrade? Southcoast Forklifts offers new and used forklifts for sale. Southcoast Forklifts provides onsite repairs and servicing of all types of forklifts.